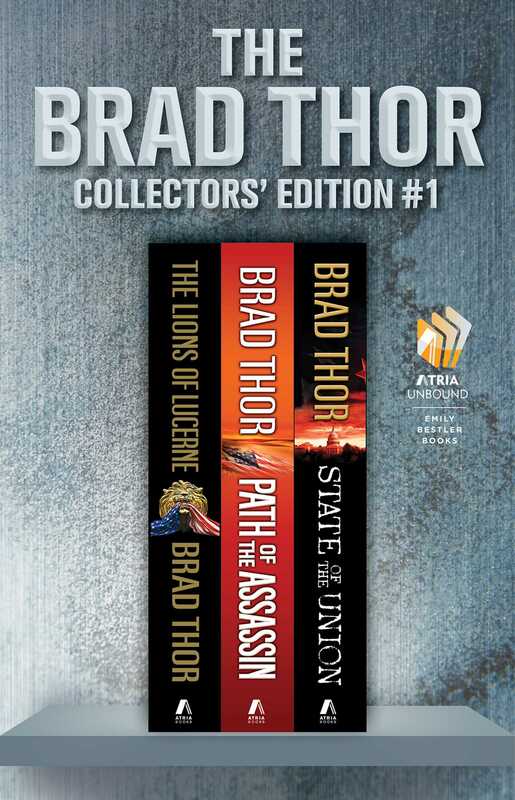 An elegant hardcover boxed set including The Lions of Lucerne, Path of the Assassin, and State of the Union, from #1 New York Times bestselling author Brad Thor. Both a must-have for any fan of Brad Thor and the perfect introduction to his masterful thrillers, this handsomely bound edition is one of four special Collector’s Editions, available now. Follow counterterrorism operative and ex-SEAL Scot Harvath’s action-packed exploits, and discover why Brad Thor has been called “America’s favorite author” (KKTX). On the snow-covered slopes of Utah, the President of the United States has been kidnapped and his Secret Service detail massacred. Only one agent has survived: ex–Navy SEAL Scot Harvath. He doesn’t buy the official line that Middle Eastern terrorists are behind the attack and begins his own campaign to find the truth and exact revenge. But now, framed for murder by a sinister cabal, Harvath takes his fight to the towering mountains of Switzerland—and joins forces with brilliant Claudia Mueller of the Swiss Federal Attorney’s Office. Together they must brave the subzero temperatures and sheer heights of treacherous Mount Pilatus—where their only chance for survival lies inside the den of the most lethal team of professional killers the world has ever known. After rescuing the president from kidnappers in Brad Thor’s roaring bestseller The Lions of Lucerne, Navy SEAL turned Secret Service Agent Scot Harvath shifts his attention to rooting out, capturing, or killing all those responsible for the plot. As he prepares to close out his list, a bloody and twisted trail of clues points toward one man—the world’s most ruthless terrorist. One problem remains: Harvath and his CIA-led team have no idea what the man looks like. With no alternative, they recruit a civilian—a woman who has survived a brutal hijacking and is now the only person who can positively identify their quarry. From the burning deserts of North Africa to the winding streets of Rome, Harvath must brave a maelstrom of bloodshed and deception before a madman’s twisted vision engulfs the world in the fires of all-out war. America’s worst nightmare has just become a brutal reality. The most unlikely terrorist enemy of all now holds a knife against the country’s throat. With both diplomatic and conventional military options swept from the table, the president calls upon Navy SEAL turned Secret Service agent Scot Harvath to disable a brilliantly orchestrated conspiracy intended to bring the United States to its knees. Teamed with talented Russian Intelligence agent Alexandra Ivanova and a highly trained CIA paramilitary detachment, Harvath embarks on an adrenaline-fueled search that spans the world—and leads to a final, deadly showdown on American soil, with a lethal enemy from the past. Brad Thor is the #1 New York Times bestselling author of eighteen thrillers, including Spymaster, Use of Force, The Last Patriot (nominated best thriller of the year by the International Thriller Writers Association), Blowback (recognized as one of the “Top 100 Killer Thrillers of All Time” by NPR), The Athena Project, and Foreign Influence (one of Suspense Magazine’s best political thrillers of the year). 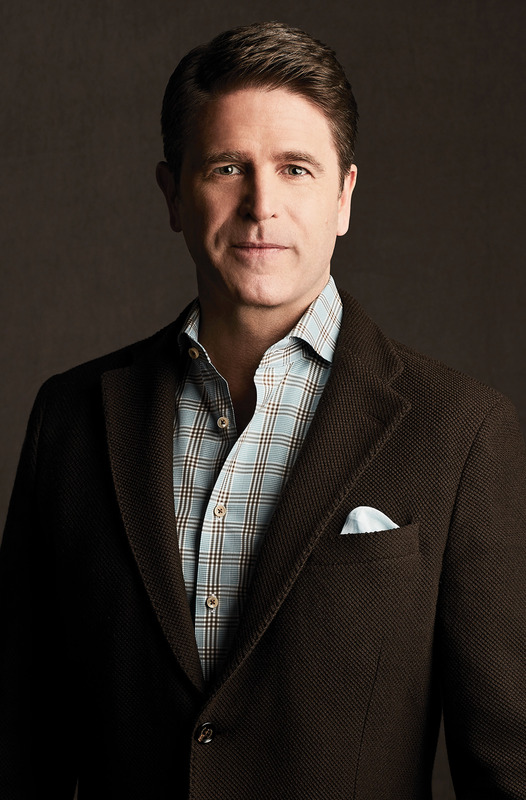 Visit his website at BradThor.com and follow Brad on Facebook at Facebook.com/BradThorOfficial and on Twitter @BradThor.